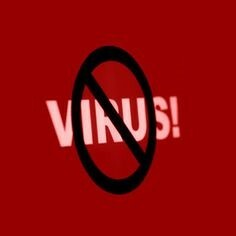 Antivirus is a program that launches when you boot your PC and stays running in memory, protecting you in real time from viruses and all other forms of malware. The antivirus has a background, always-on scanning feature that’s enabled by default. When you download a file, load a program, or access a website, the antivirus keeps an eye on everything and ensures it doesn’t match a known threat. You might think that when it comes to protecting your computer, the more weapons you have at your disposal for your protection the better, but this is not the case when it comes to antivirus. Running two antivirus programs at the same time is, in fact, a very bad idea. The two programs may conflict with each other. A competing antivirus program that is monitoring and sending information about your system tends to look like a virus, so it will attempt to block it and remove it. Also, every time you download a file, both will try to scan it. In a best case scenario, running multiple antivirus programs at once could result in degraded performance. In a worst case scenario, the programs could interfere with each other and cause system crashes. Take some time to do the research and choose one antivirus that has been independently tested to combat the latest known malware programs. If you’re worried that one antivirus program isn’t enough, you can augment it with an on-demand malware scanner. Unlike antivirus programs, they don’t hang around. You load one, update its database, scan your hard drive with it, and close it when you’re done.